A number is a mathematical object used to count, measure, and label. The original examples are the natural numbers 1, 2, 3, and so forth. A notational symbol that represents a number is called a numeral. In addition to their use in counting and measuring, numerals are often used for labels (as with telephone numbers), for ordering (as with serial numbers), and for codes (as with ISBNs). In common usage, number may refer to a symbol, a word, or a mathematical abstraction. In mathematics, the notion of number has been extended over the centuries to include 0, negative numbers, rational numbers such as 1/2 and -2/3, real numbers such as √2 and π, and complex numbers, which extend the real numbers by adding a square root of −1. Calculations with numbers are done with arithmetical operations, the most familiar being addition, subtraction, multiplication, division, and exponentiation. Their study or usage is called arithmetic. The same term may also refer to number theory, the study of the properties of numbers. Besides their practical uses, numbers have cultural significance throughout the world. For example, in Western society the number 13 is regarded as unlucky, and "a million" may signify "a lot." Though it is now regarded as pseudoscience, numerology, the belief in a mystical significance of numbers, permeated ancient and medieval thought. Numerology heavily influenced the development of Greek mathematics, stimulating the investigation of many problems in number theory which are still of interest today. Numbers should be distinguished from numerals, the symbols used to represent numbers. Boyer showed that Egyptians created the first ciphered numeral system. Greeks followed by mapping their counting numbers onto Ionian and Doric alphabets. The number five can be represented by digit "5" or by the Roman numeral "Ⅴ". Notations used to represent numbers are discussed in the article numeral systems. An important development in the history of numerals was the development of a positional system, like modern decimals, which have many advantages, such as representing large numbers with only a few symbols. The Roman numerals require extra symbols for larger numbers. Different types of numbers have many different uses. Numbers can be classified into sets, called number systems, such as the natural numbers and the real numbers. The same number can be written in many different ways. For different methods of expressing numbers with symbols, such as the Roman numerals, see numeral systems. The negative of a positive integer is defined as a number that produces 0 when it is added to the corresponding positive integer. Negative numbers are usually written with a negative sign (a minus sign). As an example, the negative of 7 is written −7, and 7 + (−7) = 0. When the set of negative numbers is combined with the set of natural numbers (including 0), the result is defined as the set of integers, Z also written . Here the letter Z comes from German Zahl, meaning "number". The set of integers forms a ring with the operations addition and multiplication. The real numbers include all the measuring numbers. The symbol for the real numbers is R, also written as . Real numbers are usually represented by using decimal numerals, in which a decimal point is placed to the right of the digit with place value 1. Each digit to the right of the decimal point has a place value one-tenth of the place value of the digit to its left. For example, 123.456 represents 123456/1000, or, in words, one hundred, two tens, three ones, four tenths, five hundredths, and six thousandths. A finite decimal representation allows us to represent exactly only the integers and those rational numbers whose denominators have only prime factors which are factors of ten. Thus one half is 0.5, one fifth is 0.2, one tenth is 0.1, and one fiftieth is 0.02. To represent the rest of the real numbers requires an infinite sequence of digits after the decimal point. Since it is impossible to write infinitely many digits, real numbers are commonly represented by rounding or truncating this sequence, or by establishing a pattern, such as 0.333..., with an ellipsis to indicate that the pattern continues. Thus 123.456 is an approximation of any real number between 1234555/10000 and 1234565/10000 (rounding) or any real number between 123456/1000 and 123457/1000 (truncation). Negative real numbers are written with a preceding minus sign: -123.456. (the square root of 2, that is, the positive number whose square is 2). Just as the same fraction can be written in more than one way, the same decimal may have more than one representation. 1.0 and 0.999... are two different decimal numerals representing the natural number 1. There are infinitely many other ways of representing the number 1, for example 1.00, 1.000, and so on. Every real number is either rational or irrational. Every real number corresponds to a point on the number line. The real numbers also have an important but highly technical property called the least upper bound property. When a real number represents a measurement, there is always a margin of error. 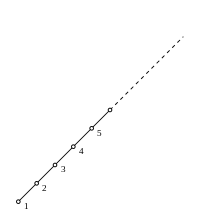 This gives rise to rounding or truncating a decimal, so that digits that suggest a greater accuracy than the measurement itself can grant are removed. The remaining digits are called significant digits. For example, measurements with a ruler can seldom be made without a margin of error of at least 0.001 meters. If the sides of a rectangle are measured as 1.23 meters and 4.56 meters, then multiplication gives an area for the rectangle between 5.614591 square meters and 5.603011 square meters. Since not even the second digit after the decimal place is preserved, the following digits are fully insignificant. Therefore, sensibly, the result is usually rounded to 5.61. It can be shown that any ordered field, which is also complete, is isomorphic to the real numbers. The real numbers are not, however, an algebraically closed field, because they do not include a solution (often addressed as the square root of minus one) to the algebraic equation . In abstract algebra, the complex numbers are an example of an algebraically closed field, meaning that every polynomial with complex coefficients can be factored into linear factors. Like the real number system, the complex number system is a field and is complete, but unlike the real numbers, it is not ordered. That is, there is no consistent meaning assignable to saying that i is greater than 1, nor is there any meaning in saying that i is less than 1. In technical terms, the complex numbers lack of a total order that is compatible with field operations. A prime number is an integer greater than 1 that is not the product of two smaller positive integers. The first few prime numbers are 2, 3, 5, 7, and 11. The prime numbers have been widely studied for more than 2000 years and have led to many questions, only some of which have been answered. The study of these questions is called number theory. An example of a question that is still unanswered is whether every even number is the sum of two primes. This is called Goldbach's conjecture. Some number systems that are not included in the complex numbers may be constructed from the real numbers in a way that generalize the construction of the complex numbers. They are sometimes called hypercomplex numbers. They include the quaternions H, introduced by Sir William Rowan Hamilton, in which multiplication is not commutative, and the octonions, in which multiplication is not associative. The use of 0 as a number should be distinguished from its use as a placeholder numeral in place-value systems. Many ancient texts used 0. Babylonian (Modern Iraq) and Egyptian texts used it. Egyptians used the word nfr to denote zero balance in double entry accounting entries. Indian texts used a Sanskrit word Shunye or shunya to refer to the concept of void. In mathematics texts this word often refers to the number zero. 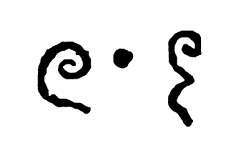 The late Olmec people of south-central Mexico began to use a true zero (a shell glyph) in the New World possibly by the 4th century BC but certainly by 40 BC, which became an integral part of Maya numerals and the Maya calendar. Mayan arithmetic used base 4 and base 5 written as base 20. Sanchez in 1961 reported a base 4, base 5 "finger" abacus. An early documented use of the zero by Brahmagupta (in the Brāhmasphuṭasiddhānta) dates to 628. He treated 0 as a number and discussed operations involving it, including division. By this time (the 7th century) the concept had clearly reached Cambodia as Khmer numerals, and documentation shows the idea later spreading to China and the Islamic world. The earliest known use of irrational numbers was in the Indian Sulba Sutras composed between 800 and 500 BC. The first existence proofs of irrational numbers is usually attributed to Pythagoras, more specifically to the Pythagorean Hippasus of Metapontum, who produced a (most likely geometrical) proof of the irrationality of the square root of 2. The story goes that Hippasus discovered irrational numbers when trying to represent the square root of 2 as a fraction. However Pythagoras believed in the absoluteness of numbers, and could not accept the existence of irrational numbers. He could not disprove their existence through logic, but he could not accept irrational numbers, so he sentenced Hippasus to death by drowning. The 16th century brought final European acceptance of negative integral and fractional numbers. By the 17th century, mathematicians generally used decimal fractions with modern notation. It was not, however, until the 19th century that mathematicians separated irrationals into algebraic and transcendental parts, and once more undertook scientific study of irrationals. It had remained almost dormant since Euclid. In 1872, the publication of the theories of Karl Weierstrass (by his pupil Kossak), Heine (Crelle, 74), Georg Cantor (Annalen, 5), and Richard Dedekind was brought about. In 1869, Méray had taken the same point of departure as Heine, but the theory is generally referred to the year 1872. Weierstrass's method was completely set forth by Salvatore Pincherle (1880), and Dedekind's has received additional prominence through the author's later work (1888) and endorsement by Paul Tannery (1894). Weierstrass, Cantor, and Heine base their theories on infinite series, while Dedekind founds his on the idea of a cut (Schnitt) in the system of real numbers, separating all rational numbers into two groups having certain characteristic properties. The subject has received later contributions at the hands of Weierstrass, Kronecker (Crelle, 101), and Méray. ↑ "Historia Matematica Mailing List Archive: Re: [HM] The Zero Story: a question". Sunsite.utk.edu. 1999-04-26. Retrieved 2012-01-30.